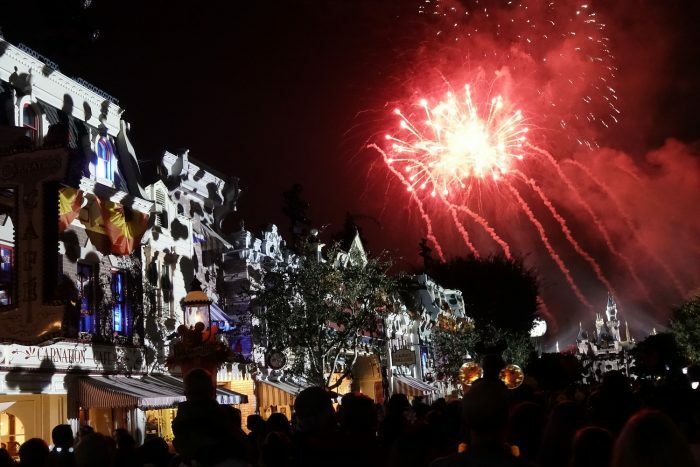 A special “Halloween Screams” fireworks show is performed exclusively during Mickey's Halloween Party nights. The fireworks run at 9:30 p.m. The show lasts about 12 minutes. Good vantage points can be had anywhere along Main Street, but the best is in the hub. 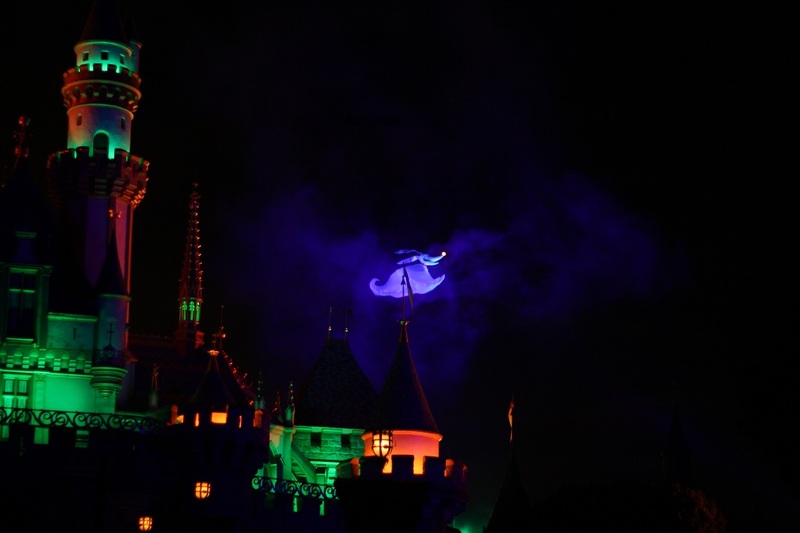 You’ll want to get as close as possible to Sleeping Beauty Castle to see Jack Skellington’s ghost-dog-reindeer, Zero, fly by on the route Tinker Bell uses during the usual fireworks. The actual fireworks in the sky are fairly standard for Disney, but the music and narration take on a decidedly spooky tone. The show is hosted by Jack Skellington and Oogie Boogie from The Nightmare Before Christmas. There is also audio from the Haunted Mansion attraction (Grim Grinning Ghosts). If you have a child who is fearful of loud noise or creepy tones, then hop on a ride during the fireworks and skip this part. We think this is one of the best fireworks shows Disney has ever produced; it is not to be missed. Halloween Screams also utilizes projection technology that bathes the castle and Main Street buildings in Halloween imagery. One section of the performance showed spooky cobwebs on Sleeping Beauty Castle, while another section featured the sinister singing wreaths from Haunted Mansion Holiday. These projections are one of the highlights of the show. 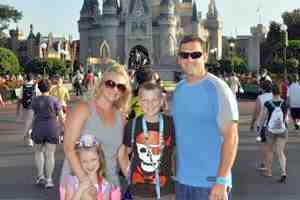 Some die-hard fans will grab spots as soon as Mickey's Halloween Party starts. You should be okay with getting a spot somewhere in the hub or on Main Street about 30 minutes before showtime. The area in front of "it's a small world" is also a good choice to view the show.